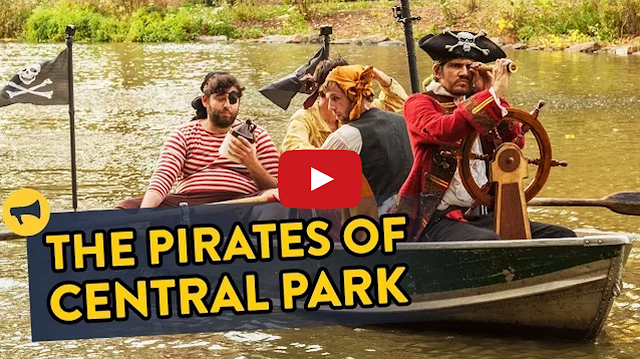 Performance art group "Improv Everywhere" invades Central Park Lake dressed as Pirates. "For our latest mission, we partnered with Disney Parks to stage a pirate invasion on the Central Park Lake, converting a rowboat rental into a pirate ship. Actors dressed as pirates from the Pirates of the Caribbean attraction set sail on the lake, searching for the keys to their treasure chest. The pirates interrogated the New Yorkers and tourists on other rowboats and by the shore, much to their delight."